This Chocolate Orpington is suppose to be a bantam but this is no small bird, the roosters are weighing in at 5 pounds and hens are 2 1/2 to 3 pounds. Kids have tried showing this bird as a bantam and are told by judges that it is not a bantam. So we call them "Fun sized Chocolates". The Chocolate Orpingtion is an import from Europe and still rather rare in the US. The Chocolate Orpington is a calm bird, the roosters are very sweet, clowny acting birds, so cute. The hens feathering drapes down around their little brown feet, they look as though they float when walking. 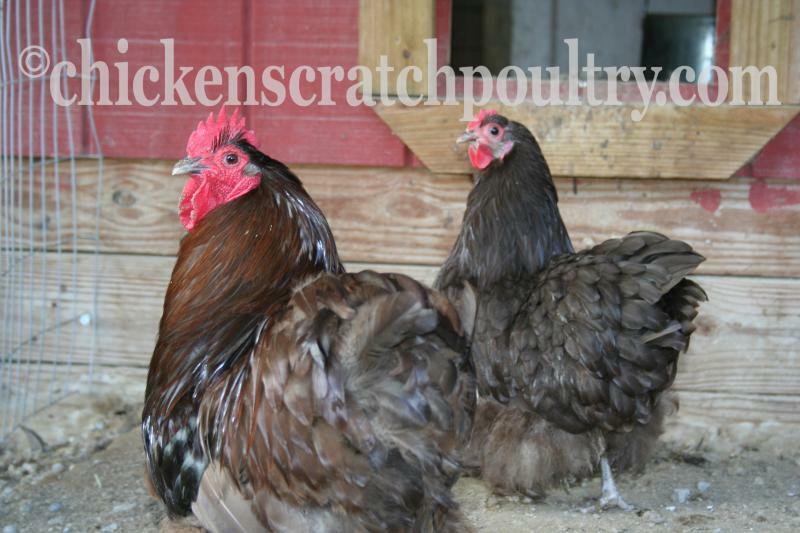 The Chocolate Orpington is a very friendly bird that make good pets and work well as backyard chickens. 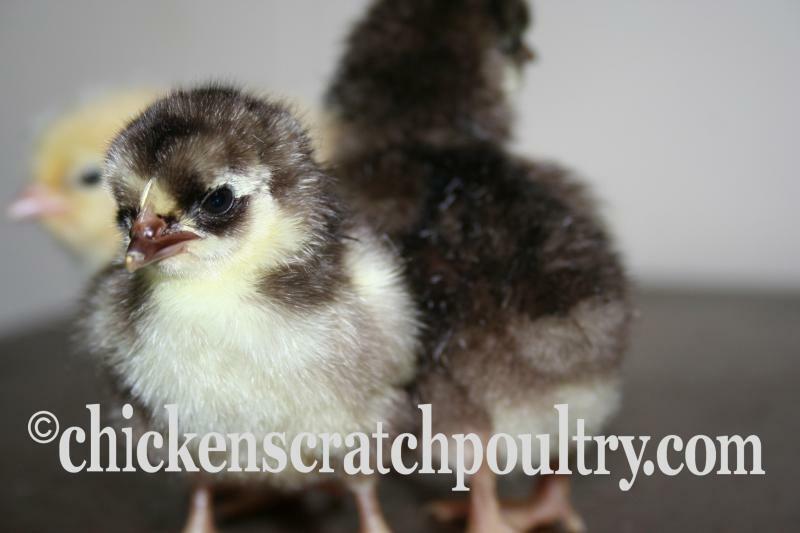 The coloring of this breed is a Hershey's chocolate brown, their beak and feet are also brown. You have to see it with your own eyes to really appreciate it, pictures can't capture it's beauty. They lay a medium to small size egg. Klye McEwen of Noth Pole, AK and his Chocolate Oprington rooster from Chicken Scratch Poultry 2014﻿. chicks please, you can mix the order. If you would like fewer than 16 chicks please contact us for information. All chicks are sold straight run. 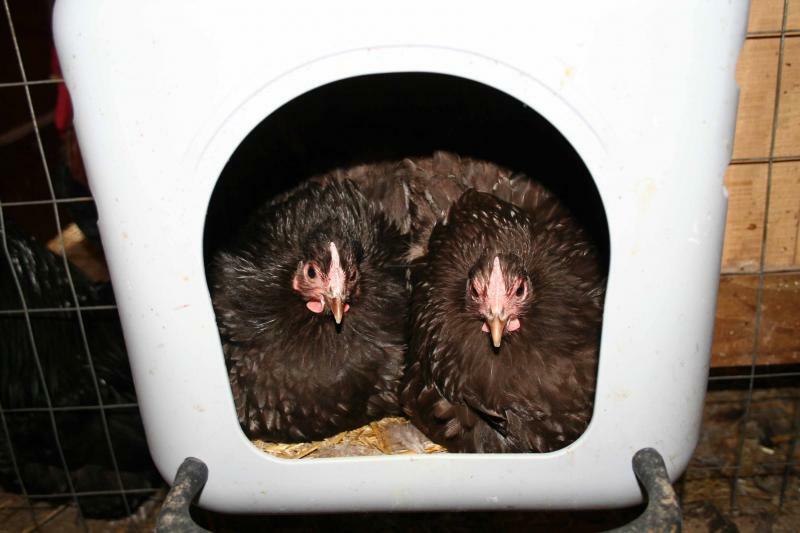 To place a hatching egg order or started pullet order go to the "Contact Us" page and leave a message.